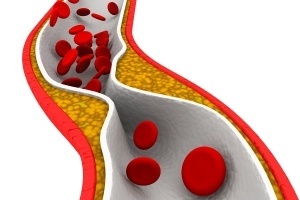 Coronary artery calcification has been found to be associated with cardiovascular events. In other words, there are more cardiovascular events when there is a higher coronary artery calcification score. The coronary calcium score can be measured with a coronary CT scan or a coronary intravascular ultrasound scan. Coronary scans are frequently ordered by cardiologists and primary care physicians. If the coronary calcium score on the CT is elevated, the doctor is most likely to prescribe a statin medication. You might think that a statin medication, if it was effective at treating and preventing heart disease, would be shown to decrease coronary calcium burden. Well, you would think wrong. Statin drugs are the most profitable drugs in the history of Big Pharma. Presently, over 28% of all U.S. adults take a statin drug. Statins are prescribed by doctors to treat high cholesterol levels and heart disease. Furthermore, the Powers-That-Be proclaim that statins will prevent a healthy person from getting heart disease. Remember, just because the Powers-That-Be continue to make the above statements does not make them true. In my new book, The Statin Disaster , I showed that statins fail nearly 99% who take them. For the vast majority who take them, statins do not prevent nor do they treat heart disease. However, the Powers-That-Be will go to any lengths to convince everyone that statins are effective for treating and preventing heart disease. A study shows the fallacy of statin medications and the lengths the Powers-That-Be will go to convince us that statins do, in fact, work. The study was reported in the Journal of the American College of Cardiology (2015:65:1273-82). Researchers studied eight prospective randomized trials using coronary intravascular ultrasound looking for serial changes in the calcium burden in the coronary arteries. The authors grouped the subjects into three groups; those treated with high-intensity statin therapy, low-intensity statin therapy, and no-statin therapy. The scientists found that all three groups—no statins, high-intensity and low-intensity–were found to have significant increases in coronary calcium scores when the groups were compared to baseline. The high-intensity group had the largest calcium increase and the low-intensity statin group was next in line followed by the no-statin group. Physicians have been testing untold numbers of patients for their coronary calcium score. When the score is too high, they are told that they are at an increased risk for a cardiac event. At this point these patients are prescribed statin medications and frequently told to undergo further testing to evaluate the coronary arteries. Let’s recap here: If you have a high coronary calcium score, you are told to get further tests and take a statin drug. Yet, this study showed that taking statin drugs increased the coronary calcium burden. Folks, I can’t make this stuff up. If you are confused, so am I. How do the Powers-That-Be get out of this one? They state that the increased coronary calcium observed from statin use is due to the ‘stabilizing’ effects of statins. Somehow, statins cause more calcium in the coronary arteries, yet this is a sign of plaque stabilization. The accompanying editorial in the Journal of the American Academy of Cardiology said that the findings were “somewhat controversial”. I say, give me a break! Either coronary calcium is a good thing or it is a bad thing. I think it is wise not to have calcium in your coronary arteries, since calcium does not belong in the arteries. If statins are causing an increase of coronary calcium levels, then that is another reason to avoid them. Remember, overall, statins fail in preventing heart attacks in nearly 99% who take them. This study is an indication of why statins fail so many and should be another nail-in-the-coffin for statin recommendations.